Given that they’re already a bit of a nuisance, you’d think that the paparazzi would at least attempt to be courteous to celebrities. However, Chrissy Teigen has shared details of a racist encounter with a paparazzo and it’s horrifying. Now, we know that Chrissy Teigen isn’t afraid to call out negativity when she sees it. The 31-year-old was quick to come to the defence of her friend Kim Kardashian, has previously spoken out in support of diversity, and has opened up about her own experiences with racism. However, Chrissy has now shared a close encounter with a racist paparazzo and what she experienced is so not okay. 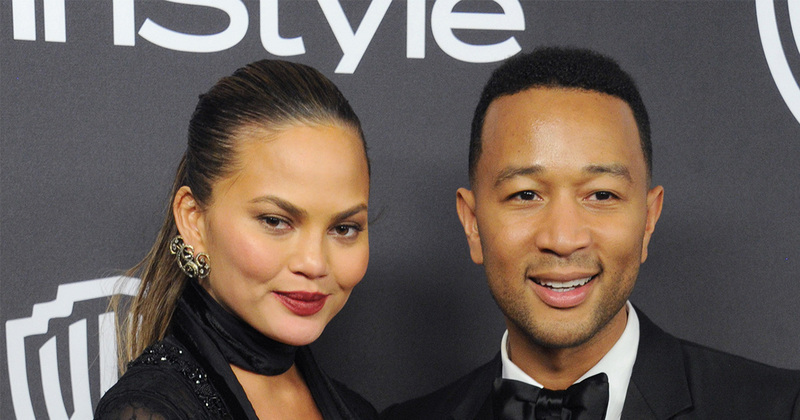 In a string of tweets, Chrissy told how her and her partner, the singer John Legend, were coming off a flight at JFK in New York when they were met with a bunch of paparazzi. Yet, it was one particular photographer’s racist questions that caught Chrissy’ attention. Chrissy went on to say that she had been very kind to the pap answering his questions about her cookery book, before he surprised them with his racist remarks. "He also went from 'what's an easy recipe to make at home' to 'if a Jew were a vampire, would he still be afraid of crosses?'" Chrissy wrote. Chrissy also noted that the pap was asking these racist questions about her husband while John was standing right next to her. As she says in her tweets, it’s no wonder that we see pictures of celebrities getting riled up at the paparazzi, especially if they’re being harassed and confronted with racism and hates speech, something that is NEVER okay. We’re glad that Chrissy didn’t rise to the bait of the paps on this occasion, and hopefully by sharing the incident on social media she’ll help raise awareness that this despicable behavior still goes on.